If you're anything like me, you struggle to stay organized and on task. This is where the Bullet Journal comes into play. 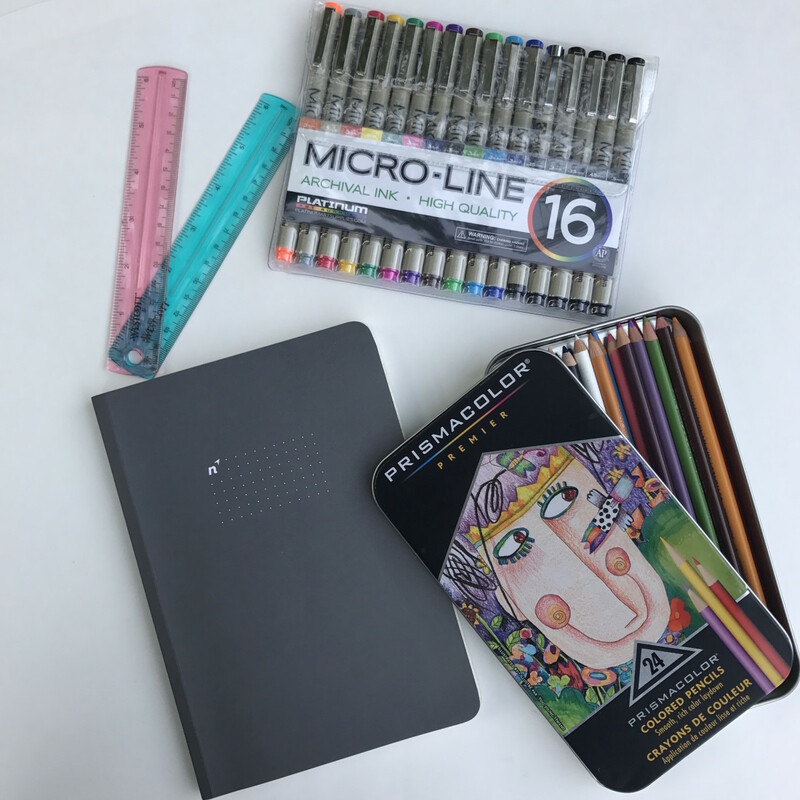 It is a planner, an organizer, a task manager, a journal and a sketchbook all in one. Its purpose is to keep you on track, no matter how hectic your life gets. I have to admit, I was skeptical when I first saw them well over a year ago. I couldn't wrap my head around how it could possibly work better than a dated planner, so I pushed the thought of starting one aside. But, as fate would have it, my activity on Pinterest brought the idea to light again recently. As I am willing to try almost anything once, so I decided to learn more about it and give it a chance. I'm glad I did. 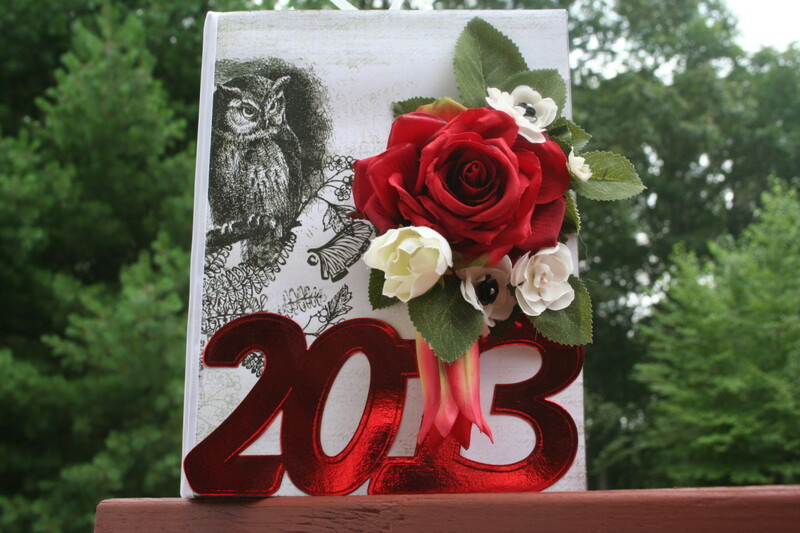 Read on to find out what to include in yours, plus see some photos of mine. This is where a calendar page is handy. 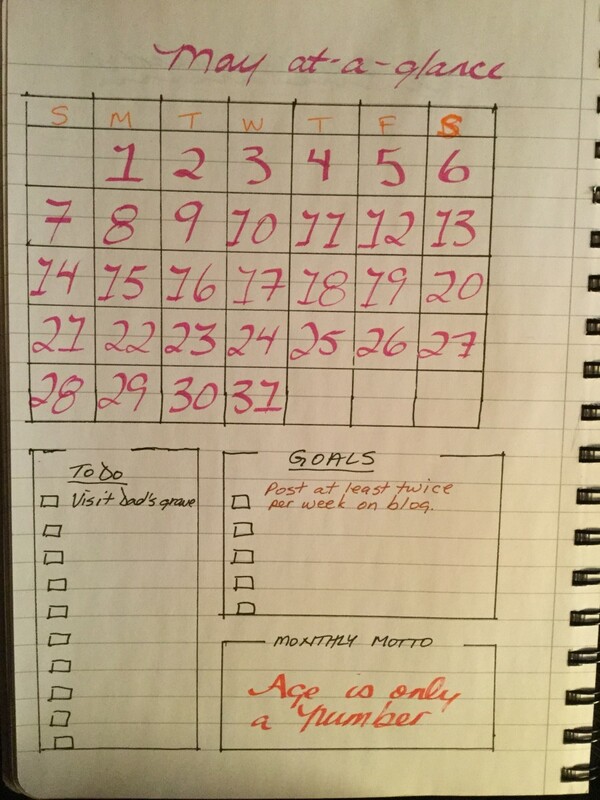 Once you have your month drawn out in front of you, you can dedicate one page per week. If you have a busier schedule, one page per day may work better. I have drawn out my calendar for May, then added a To Do block, a Goals block and a Monthly Motto on the first page. The next pages dedicate one page per week, with enough space on each day to write down at least five tasks/appointments. As there are only three days taking up blocks at month-end, I have added a May Re-cap block and a Step Tracker. When my journal lies flat, I can see two weeks at a time. 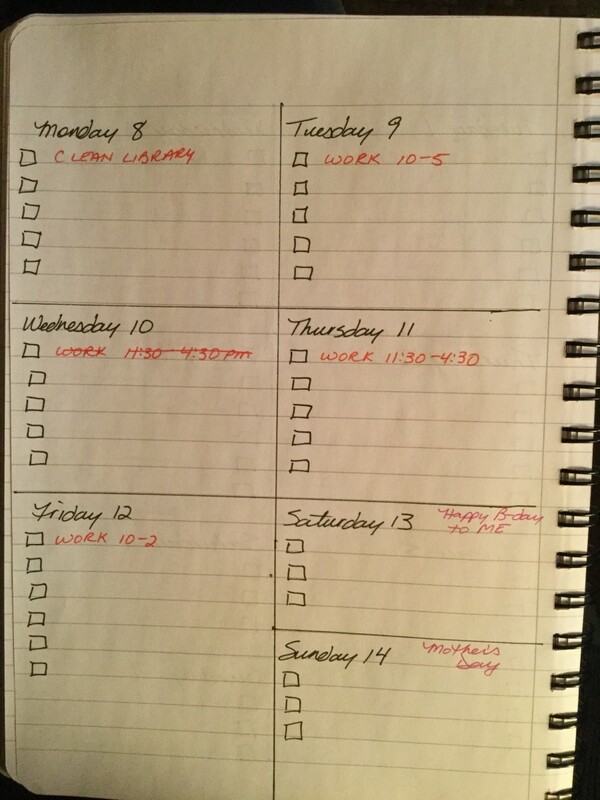 As you can see in the photos, I have marked the days I work in red for easy reference. I'm always worrie about getting my weeksconfused, as I work at the library every second week. The next section concentrates on lists, and I must admit, I am a list-maker. As I said at the end of the previous paragraph, I am a list-maker. 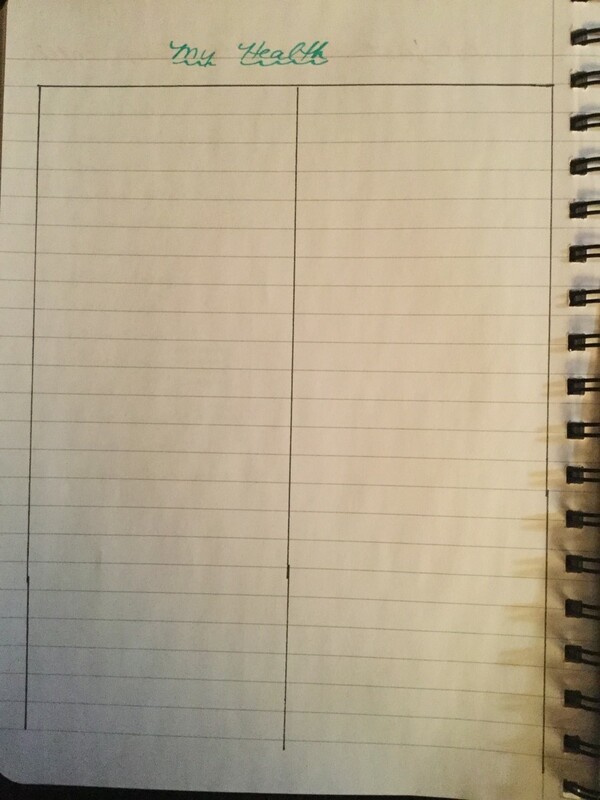 I find making lists keeps me on track, and I can see what I have accomplished as I check the items off. I have been negligent in making lists the last little while, and I kick myself every time I don't have all I need. There are two types of lists I'm going to dis: a master list and a daily list. The master list is one that is written to be utilized more than once, or even on an ongoing basis. A prime example is the menu for Christmas Dinner. My sisters and I each have a copy, so whoever is doing the cooking knows what is to be made. Another example of a master list is one for seasonal cleaning. My list for this hasn't made it into my Bullet Journal yet, but it will when I have a few minutes. Once the master list is made, sections for each season will be carried over to the appropriate month. For example, washing windows inside and out will be included in my May To-Do list. The next section is all about the important dates, namely holidays, birthdays and anniversaries. For those who don't celebrate holidays for religious or personal reasons, feel free to skip this section. For most of us in my part of the world, holiday celebrations are a big part of our lives. Some of the more popular ones are Christmas, Easter, birthdays, Valentine's Day and so forth. Oh, and Canada Day. Designating a page to mark the holidays and other celebrations throughout the year can be one of the first in your Bullet Journal. My Birthdays and Anniversaries page is quite a ways in, but as this is my first one, it is a little unorganised. My next one will have more order to it I'm sure. It's nice to have everything on the same page so you can plan ahead, especially if gifts are being shipped to other parts of the world. For example, if you live in Canada and want to ship a package to Australia for Christmas, you will want to make sure the package leaves the Post Office by the first week of December. The influx of parcels tends to slow down delivery time, so getting an early start is a good idea. The events from this list can then be transferred over to the months they occur in. By writing them down as you create your monthly planner pages, you will be more aware and they won't sneak up on you (like Easter did for me this year). As I was wondering where the time went, I realized I knew a lot more of when the holidays were coming when my children were still in school. The older I get, the quicker time seems to pass. The holidays can be a little overwhelming to some, so knowing they are just around the corner is an asset. This is a good way to keep track of your overall health. It should include physical, mental, emotional, spiritual (optional) and financial. All of these have an effect on the others, so keeping track of appointments, tests, results and wind-down activities is important. My Health Page is still blank, but I do have full intentions to start paying more attention to it: both my health and the page. At this point it is divided into two columns, and both are empty. On the page opposite of it is a page entitled Me Time. 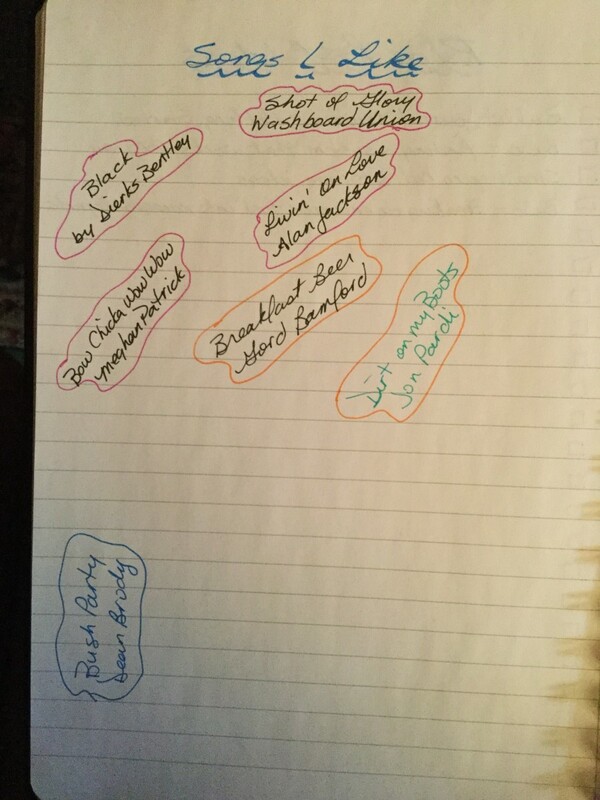 I have made a note at the top of the page to remind myself there should be at least one entry per week. I am guilty of not taking the time I should for me, and that is a change I'm hoping I can make. 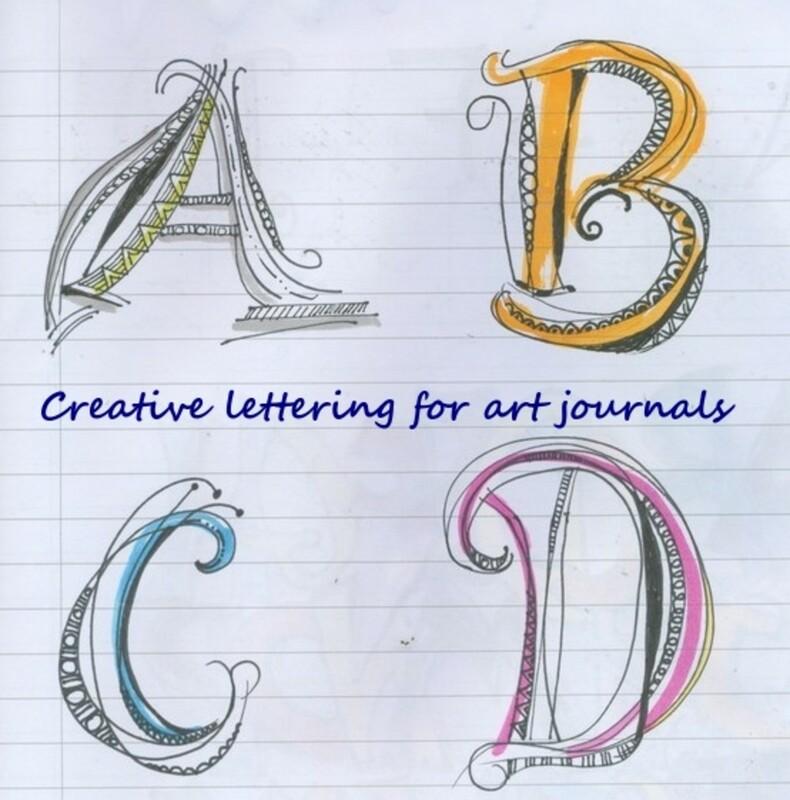 This could be the best part of your Journal. Be sure to dedicate some pages for fun, such as a Doodle page, Favourite Songs, Things that Make You Happy, Places to Go and even a Garden Planner (if gardening is your thing). Having a healthy balance of work and play is crucial to good health, so why not make the time to concentrate on the good things. We all need positive thoughts and energy, so creating a de-stressing page isn't a bad idea either. Creating the page can be one way to de-stress, and following the tips when life gets a little crazy will also help. Now that you have an idea of some of the pages you can have in your Bullet Journal, don't forget to go crazy with them. 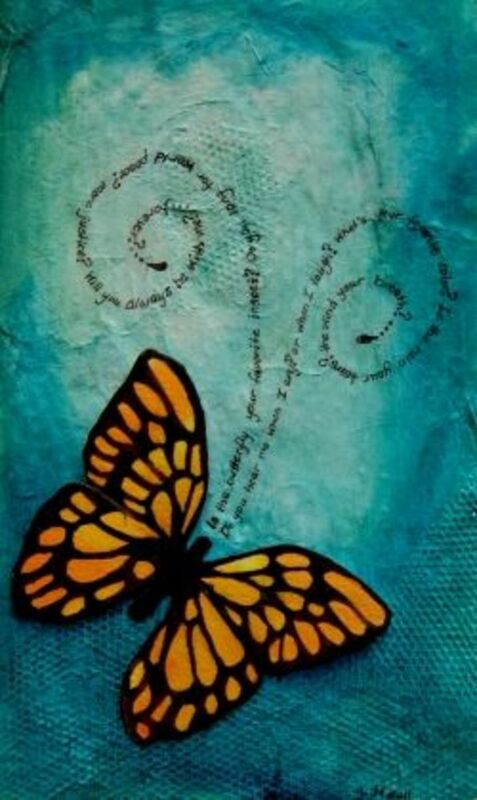 Add some colour, practice your handwriting and use some of that Washi tape you have been hoarding. My Journal is being written in with scrapbooking pens, but if you don't have pens yet, crayons will also do the trick. Pens are nicer, because they dry quickly and last forever (Well, almost). 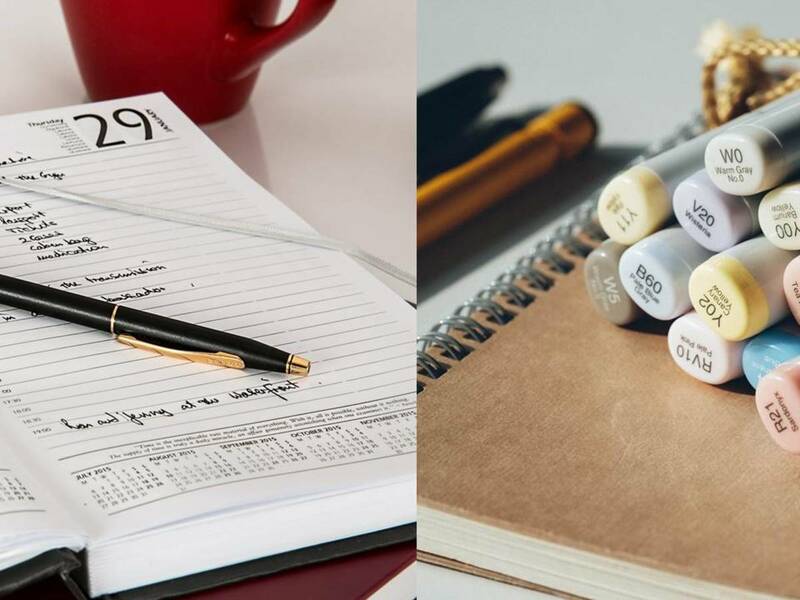 No matter your choice of writing utensil or journal style, the point is just get started. 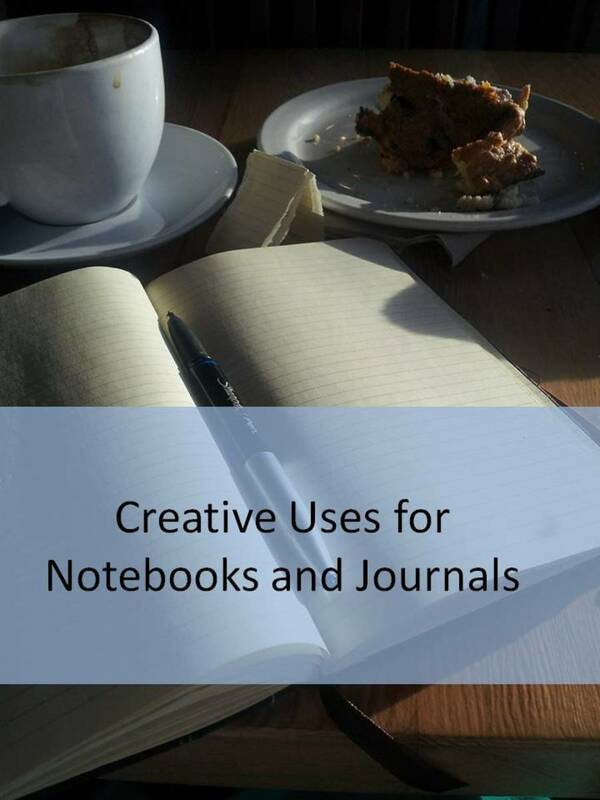 There are several journals available on the market, so you are sure to find one you're looking for. I do have to say, my next one will have a faint grid on the pages as opposed to lined, as I have had to take the time to measure with a ruler to be sure columns and blocks are relatively square/even. The grid will make it easier to mark my line spacing, and I will just need the ruler to draw the lines. 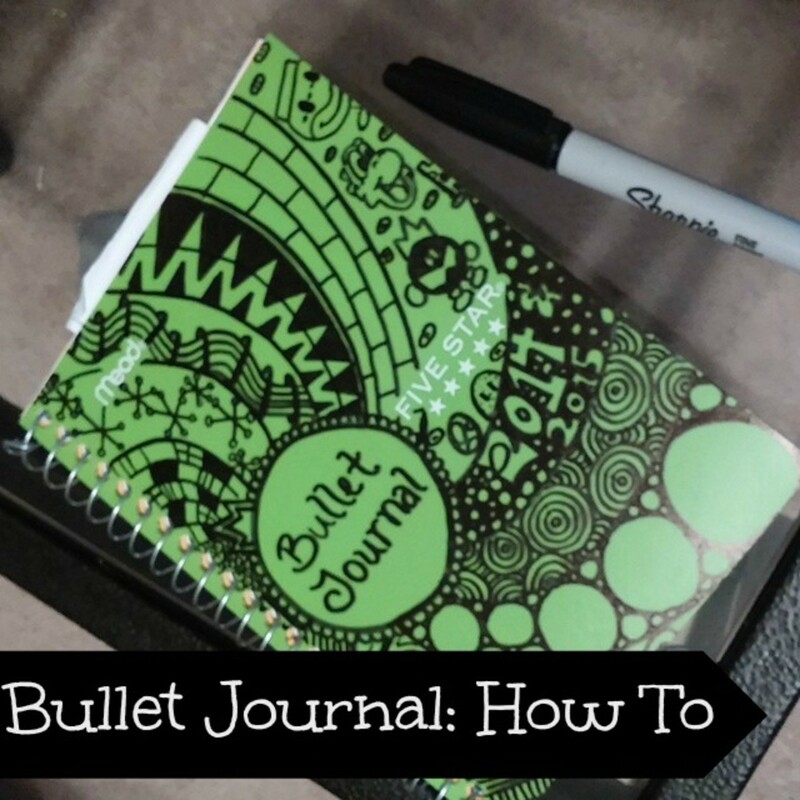 I suggest you try Bullet Journaling with a basic notebook and pen to start. If you find you like it, invest in a better quality journal and some good coloured pens. They are available online, and in your local Dollar Store. 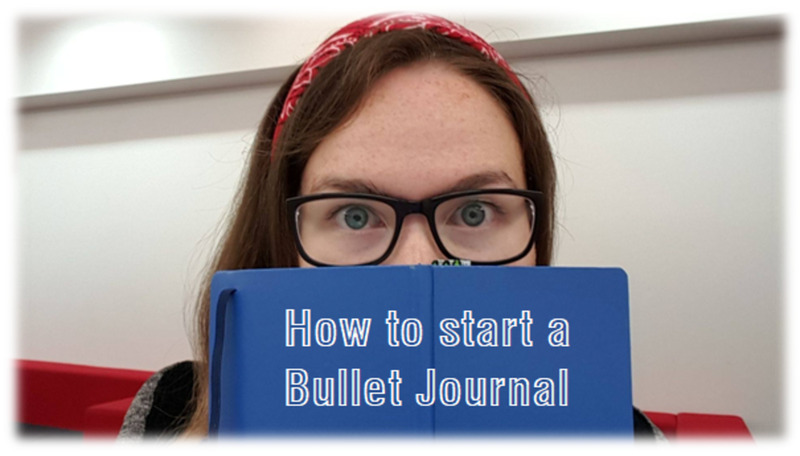 Now it's question time: Do you keep a Bullet Journal yet? If so, what do you like most about it? If you don't, is it something you're willing to try? Answer in the comment section, and feel free to post your pages too.